Ravindra Jadeja, born on December 6, 1988 in Navagam-Khed, is a left-arm orthodox bowler who is a more-than-useful lower middle order batsman. 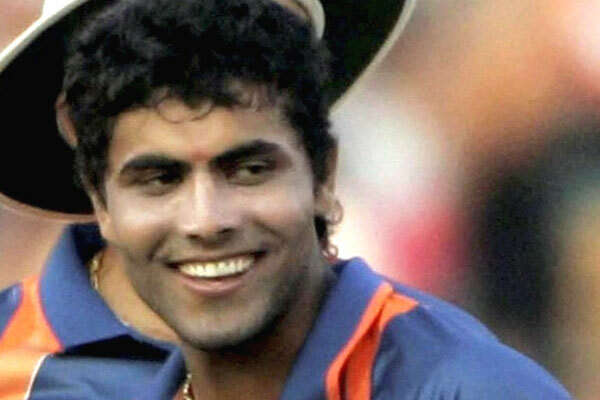 Jadeja was part of the U-19 team that lost to Pakistan in the 2006 World Cup but finished champions in 2008 with Jadeja making a notable contribution throughout the tournament. He was picked by the Rajasthan and played some blinders lower down the order in the inaugural IPL in 2008. He saved his best for the upcoming Ranji season. In the 2008-09 first-class season Jadeja was outstanding for Saurashtra, topping the bowling charts with 42 wickets and finishing sixth on the run-getters list with 739 runs. Such a performance was hard to ignore and Jadeja was promptly included in the Indian squad for the Sri Lanka ODIs in January 2009. He made his debut in the final match of the series, scoring a fifty even as India lost. After his T20 debut the same year, Jadeja came under criticism for his slow knock against England in the T20 WC in 2009 as a result of which India were eliminated from the tournament. He was also run-out at a crucial juncture in the 5th ODI against Australia at Hyderabad, which India narrowly lost after Tendulkar smashed 175. However, his captain MS Dhoni supported him, and he came back strongly in the following ODI series against Sri Lanka, registering his career-best figures in the 3rd ODI at Cuttack. With the World Cup 2011 in sight, Jadeja got many a chance in the ODI format as he was the only decent option available in the 'all-rounders' category. He performed consistently with the ball, but his performances with the bat were nowhere close to India's expectations and his batting failures led him to being dropped from the World Cup squad. However, he returned to the ODI side after a successful IPL season and celebrated his comeback game with a special knock on September 9, 2011, scoring a fine 78 after a top-order collapse in the 3rd ODI at the Oval against England. The knock also happens to be the highest score for him in the 50-over format. His recent exploits in the 2012-13 Ranji Trophy, during which he also became the first player to make three triple centuries, earned him a Test call-up against the visiting English in 2012 in the Nagpur Test. The Saurashtrian continued his good form in the following ODI series against England picking up nine wickets and also backing it up with 128 runs with the bat, which also included a match-defining 61 not out at Kochi. In the home Test series against Australia in 2013, he was preferred to Pragyan Ojha for his all-round abilities. Jadeja's dream run continued in 2013, when he picked up 24 wickets in the historic 4-0 win against Australia at home. He was virtually unplayable in the series, dismissing Michael Clarke 5 out of 6 times. His 7-wicket haul, including a 5-fer in the second innings, in the final Test won him the Man of the Match award. In the Champions Trophy in 2013, Jadeja played a useful knock of 33 against England in the final and also picked up 2 wickets - a performance crucial in India's win over the hosts. A couple of months later, Jadeja topped the ICC ODI rankings as the No. 1 bowler, becoming the first Indian bowler to top the rankings since Anil Kumble did in 1996. Jadeja had a fantastic time in 2013 as he ended up with 52 wickets in ODIs, becoming the third highest wicket-taker in the year across the globe. As a result, he also became the first left-arm spinner in the history of ODI cricket to take 50 wickets in a single year. He had a decent start to 2014 as well, when he made a quick-fire fifty in the third ODI against New Zealand at Auckland, helping India to tie the game from nowhere. He also got an extended run with IPL side Chennai as they retained him for the 2014 edition. In the final of game of India's Asia Cup, Jadeja ran through Afghanistan at will and registered a Man of the Match award winning performance with figures of 4/30. However, he didn't have the best of times at the 2014 T20 WC as he was expensive and did not manage to pick up many wickets.